If you own a restaurant, bakery, or catering company, your menu plays a big part in the presentation of your business. Every single one of your clients will see it, and every single one of your clients will judge it. So don't make a lack-luster menu -- instead, make the best impression you can with DIY Hard Cover Menus using Pinchbooks. Check out this video to see just how easy it is to make them, and just how professional they are. Then, click here to buy Pinchbooks online. We sell them in small packs, so you don't have to worry about high minimum orders or overstock. • Fast - Probably the best thing about Pinchbooks for restaurants is how fast they can be made. We know that time is always scarce in the industry, and staff is always busy. 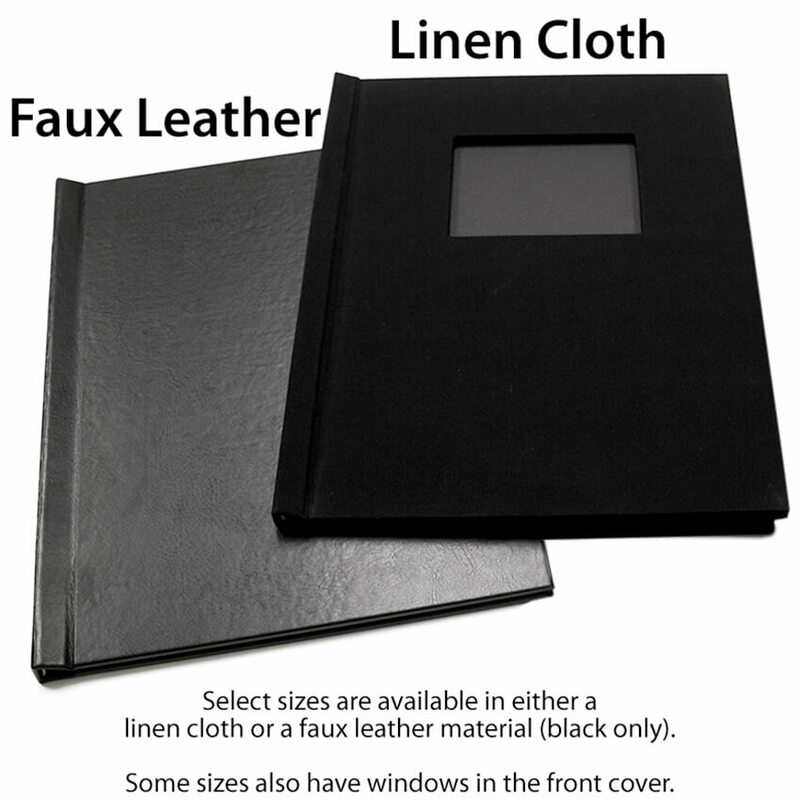 So the fact that you can make hard cover premium menu books in 5 seconds with Pinchbooks, makes them a hot commodity. • Easy to Edit - Pinchbook pages can be edited as many times as you need, so if your menu changes, or if you want to highlight promotions and specials for a short amount of time, you don't have to make a separate menu or POP display that takes up additional space on the table. 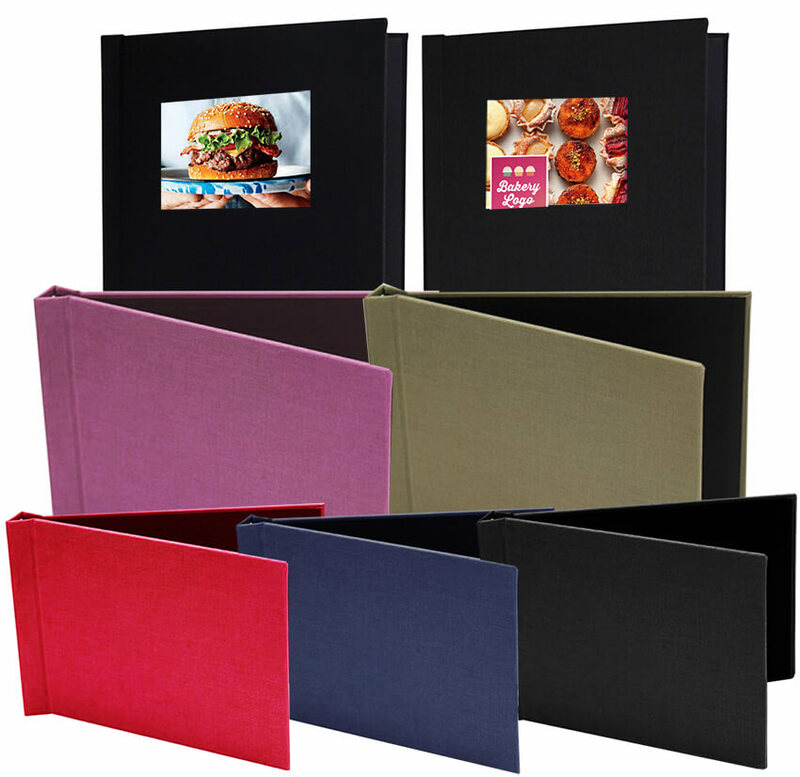 • Lots of Cover Sizes & Colors- Restaurant menus with Pinchbooks can be made in a huge variety of cover sizes. You can choose horizontal formats or vertical, and from several colors. There is even a cloth or a faux leather option for an upscale look, while remaining animal-friendly. • Choose your Window - You can choose cover options with or without a window. Most restaurant clients choose with a window so that can showcase a title and eye-catching photo of their food, but you can also go for a completely clean and solid look. • No Tab Dividers - We know that having multiple sections in your menu is important, so be sure to consider the width of your pages, as well as any page extensions or tab dividers you will be using. The width of the covers does not have a lot of extra room for tab extensions, so you will need to choose a larger cover to accommodate. The sheet size listed is the overall page size that will work well. • No Large Menus - Pinchbook menus allow for a maximum page capacity of about 35 sheets, depending on the kind if paper stock you are using. So if you are using thicker coated stocks, or laminated pages, the capacity will be a bit less. This isn't a problem for most people in the restaurant industry, as they have a perfected and limited menu items. But if you have a larger selection, be sure to keep the capacity in mind when designing your menu pages, to be sure you are using the space as efficiently as possible.